And two more non fiction books. I guess next week some fiction is in order. Thoughts. Things are getting spooky. And now you might want to reconsider which university you attend. Tongue in cheek and wildly entertaining, yet a bit of a haphazard collection of folktales and urban legends of the haunting kind. Who knew? Former librarians are typically a scapegoat for paranormal activities. Talk about being attached to those books even after you've died. Verdict. A hauntingly fun read! Thoughts. If you're a bibliophile you most likely thought about it yourself. Your very own bookstore. 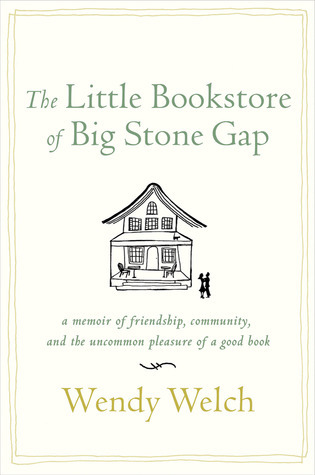 A quaint and wholesome story about a small town bookstore and its people. I'm in love with this place already! Verdict. A bookishly charming memoir! The Reading Files - Things are getting hairy! Quote Garden - Reading? Seriously! A Writer's Life - How 'bout a one liner? The Postman Files - Let's rhyme a little! Quote Garden - We are all poets, really! A Writer's Life - Let's work that net! The Postman Files - It was about time! Pajama Musings - Books are in the air!